One of the promises I made to myself in my early twenties was that I would take advantage of working remote and travel as much as I could. I was inspired by the pictures decorating the walls of my parents’ home, showcasing the places they’d been and adventures they’d had. I found myself absentmindedly flipping through my old journals and photo albums, smiling at the pictures and excerpts from my first concert, my three-week excursion in college to Paris, London, and Italy, and a myriad of other little trips. Traveling, to me, was (and always will be) beautiful and important. And no, the trips I coveted didn’t have to be extravagant and crazy, but they needed (and still need) to happen, and happen often. When I moved across the country in my mid-twenties, that was my first giant ‘travel,’ if you will. After that move, though, I was inspired to see as many places as I could. I took intentional time (and money) and set it aside for visiting friends in different parts of the country, attending shows and concerts in new areas, and getting out of my comfort zone. 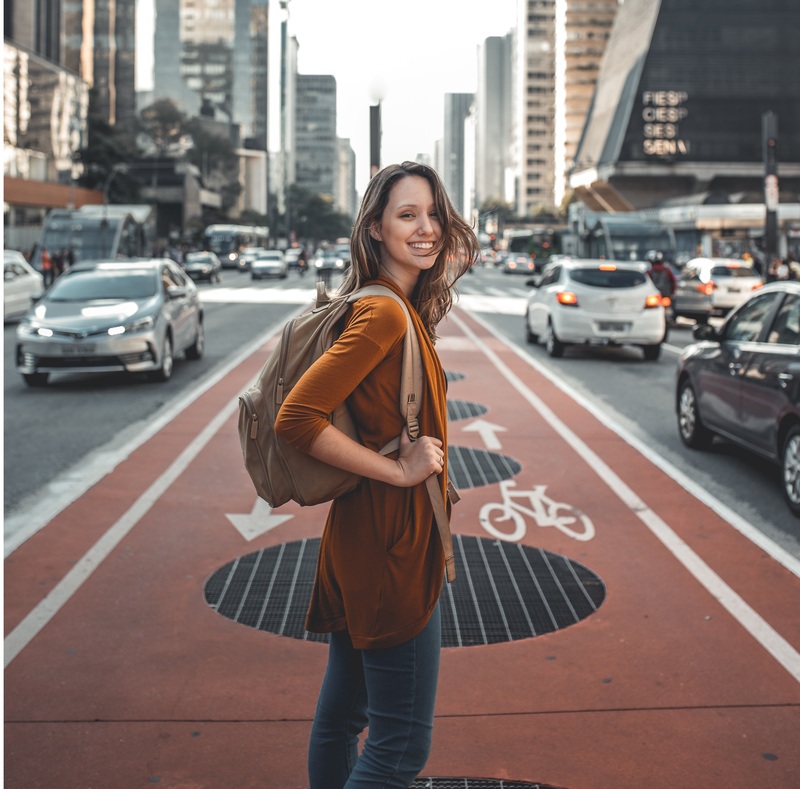 I lived—and still do—with the belief that we shouldn’t wait to travel until we’re older, more financially stable, or more prepared. We should travel, within our means, as soon as we can (and before it’s too late!). I’ve stepped onto my fair share of airplanes, caught a good amount of trains, and stuffed my clothes into a number of suitcases. And along the way, I’ve collected a few items that have made my process incredibly easy. From portable bottles of dry shampoo, to neck pillows that keep my head cramp-free, here is a list of my favorite travel products. When I travel, I like to take advantage of the ‘dead’ time: between flights, waiting for my rides, or the coveted non-interrupted moments on the plane where I purposely don’t sync to WiFi and just write. Because I’m constantly connected to my electronic devices, though, I tend to drain the batteries pretty quick. This is why the EcoFlow RIVER Rapid is my absolute favorite charger to travel with. There’s nothing worse than a bulky portable charger. I’ve gone through many over the years, and though they market ‘super fast’ charging speeds to make up for the size, I’ve found that nothing really compares to the power and convenience of the RIVER Rapid. This charger is mini: only 3 inches tall and weighs 0.22 pounds. It’s USB-C compatible, which is great because so is my Lenovo laptop and Galaxy S8 (AKA less charging cords and unnecessary clutter). It has a 5000mAH capacity, so it easily delivers 18W of charge and there’s a quick-charge port to regain power after use. I’ll testify to the laptop claims—with my Lenovo, a single charge gained me at least 45 minutes, if not more when the battery was completely dead. Honestly, at the end of the day, being able to charge on the go is important. No matter where I am or traveling to, I toss this guy in my purse. It’s a must-have. To be honest, I’ve always thought neck pillows were stupid. 😅 Rather than spend the money, I’d stuff a puffy jacket under my chin, or try to fold my head in position with the side of the chair and the window. (This never worked, in case you were wondering.) When I heard about Huzi’s Infinity Pillow, though, I was super excited! This pillow is completely redesigned, taking all the features of a traditional neck pillow up a notch. First, the pillow is made with a soft and lightweight bamboo, which is necessary, especially for long, stuffy flights. The fabric is said to be three times more breathable than a traditional pillow, but it’s still thick enough to fold or tuck under your chin. Though the fabric is naturally antimicrobial (so it resists dirt and odor), it’s also machine washable. This is a great perk because it offers the option to deep clean, while still retaining the original shape. The pillow comes in four colors: grey, navy, burgandy, and tan. It’s definitely been one of my favorites for catching up on my en-route zzz’s. I’m always looking for products that are useful, but also cute. When it comes to travel products, especially compression socks, that’s not always the case. That’s why I’m definitely a fan of Vim & Vigr’s sock styles. Nothing is worse than having thick, ugly socks sticking out of your shoes. And in warmer temperatures (like southern California, where I live) having something thin and lightweight, while actually compressing your feet is a must. Plus, this brand has a variety of styles—with the seasons in mind, too!—colors, and patterns. Living by the beach where the humidity can be a downer on hair—turning curls to piles of frizz, to be precise—I love having a dry shampoo I can rely on. And I’m particularly fond of ones that come in travel size, so that I can bring them wherever I go. 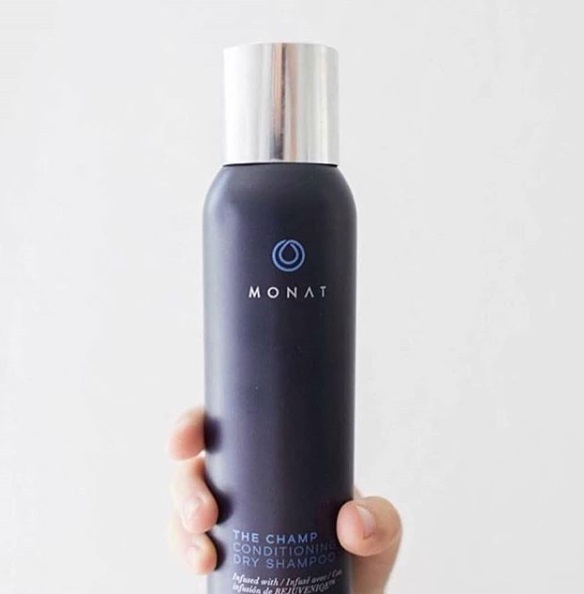 This Monat 2 oz Dry Shampoo (as a part of the travel size bundle) is everything I could ask for. Not only is it lightweight and doesn’t leave white residue on my hair like most brands, but it’s never sticky! It also smells light and fresh rather than perfume-y (which quite a few brands do, and I’m not particularly fond of). The above photo is the full-size version, which I love, but for traveling I prefer the smaller 2 oz size. I’m not huge into face masks, but since I’ve been traveling so much, and in different temperatures, my face has been both dry and oily. And especially after being cooped up in an airplane for several hours, I hate how the stagnant air makes my face feel. Masks to the rescue! A mask that I’ve really enjoyed—both for the hydration benefits and the added fun of wearing it while visiting friends—is the ‘Rosé All Day’ mask by Maskeraide. Not only is this mask lightweight and super moisturizing, but it also smells great! It also matches with this adorable ear-headband that keeps stray hairs off your face while applying! These are a few of my favorites. What am I missing? What do you travel with?